Stories and videos from our partners at "Today"
Soon-to-be parents who are following along with the pregnancy of the Duchess of Sussex and Prince Harry, will soon have an extra incentive to watch the royal baby announcement even more closely in the coming days ... or weeks. 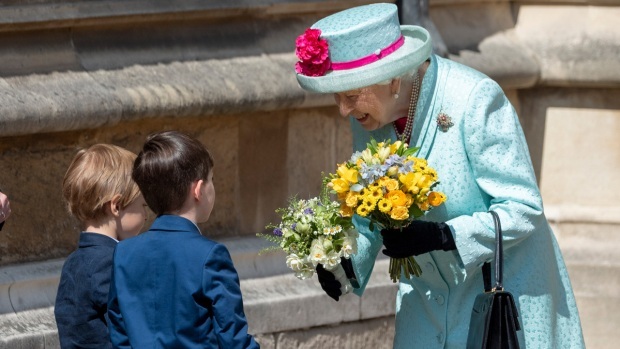 PepsiCo's tea brand Pure Leaf recently brought its new line of herbal iced teas to the world, and what better way to celebrate tea than to coordinate a giveaway with British royals? In honor of the newest royal baby, who is expected to arrive in late April or early May, Pure Leaf will reward American families with babies born on the same day as Meghan Markle's with a Royal TEA contest. 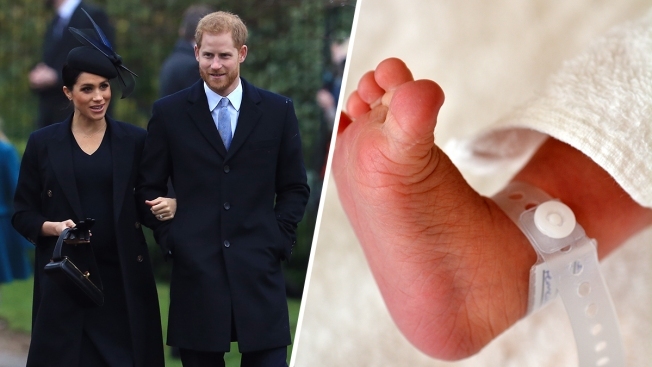 Your baby won't have to be named Pure, Leaf, Meghan or Harry — unlike another publicity move made by KFC in which parents had to name their child after the colonel for $11,000 (and, surprisingly, that worked). Pure Leaf's Royal TEA Sweepstakes will give families the chance to win $10,000 that will be put toward the little one's future education. First, 10 newborn entries will be selected randomly from those born on the royal baby's birthday and they will receive, along with their parents, a formal family portrait session in the tradition of their favorite British royals. The photographer who will take the photos is New York City-based Yaron Leshem, who has a permanent installation at the Museum of Modern Art in New York City and has been featured in galleries and museums around the world, from London and Paris to Berlin and Tokyo. Leshem and a support team will fly to each of the 10 winners to shoot in a location of their choosing where they'll get the royal treatment, including accessories for their new little crowned jewel. One of the 10 families will be surprised during their shoot with $10,000. In addition to the first prize winner and the nine runner-ups, 50 families will also be selected to receive a $100 Shutterfly gift card so they, too, can honor their own sweet Sussex wannabe with a photo-op. To enter, families whose baby is born on the same calendar day as Prince Harry's first little bundle of Joy can enter for up to seven days after the birth. During the submission period, just snap a pic of the entire fam, newborn or a baby accessory and upload the photo to Instagram or Twitter (entrants must follow PureLeaf on either Twitter or Instagram at the time of entry until all winners are finalized) with the hashtags #PureLeafRoyalTEABaby and #Sweepstakes in the post. Winners will be selected at random within about 48 hours following the submission period and will be notified via direct message (DM) on the social account they used to enter the sweepstakes. Winners will then have to respond to Pure Leaf within two days to claim their prize. And then they'll all live happily ever after — with a truly unforgettable birthday.